Ensuring the quality of life on our planet and sustainable socioeconomic development of our societies requires today a sound and balanced management of water resources. It is recommended that agreements, strategies, programs, financing and monitoring be designed at the river basin level and that cooperation agreements be signed by the riparian countries for large transboundary rivers, lakes or seas and aquifers. IOWater is in charge of the permanent technical secretariat of the International Network of Basin Organizations (INBO). INBO supports initiatives for the organization of Integrated Water Resources Management (IWRM) at the level of the basins of national or transboundary rivers, lakes or aquifers, by using the many experiences that can reconcile economic growth, social justice, protection of the environment and water resources and participation of the civil society. ➤ The "Basin Organizations", that is to say the bodies entrusted by the competent public authorities with the overall management of water resources in the basins of rivers, lakes or aquifers, whether national or federal, or transboundary, where appropriate, as well as the cooperation structures they have been able to develop among themselves. These organizations should, under national or federal legislation or international agreements in force, have a public mission, a legal personality and their own budget. having specific budgetary resources at their disposal, obtained by applying the “user-polluter-pays” principle. 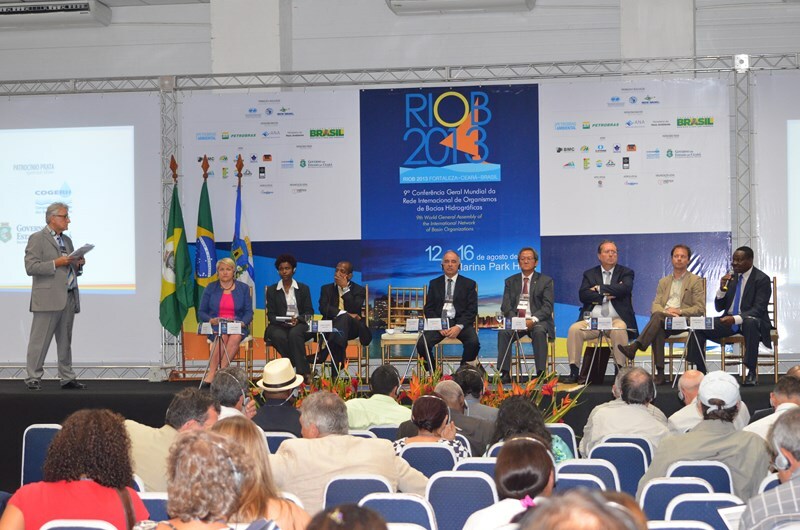 ➤ Bi and multilateral cooperation organizations supporting activities for comprehensive and sustainable water resources management in the river basins. ➤ to evaluate ongoing actions and disseminate their results.